Saving Jackie K is an action-adventure novel that springs from a dark premise – what if the political assassins killed Jacqueline Kennedy instead of her husband? 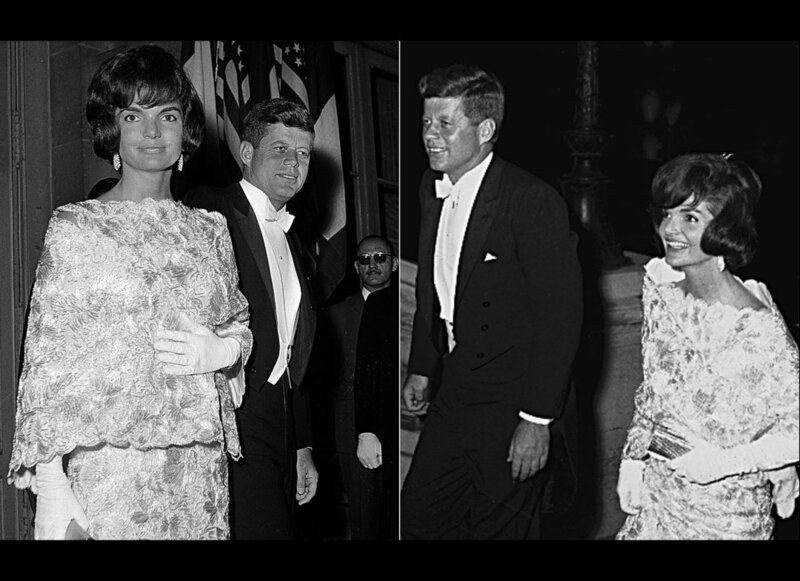 In the real world, Jacqueline Kennedy was renowned as a fashion icon for women all over the world. 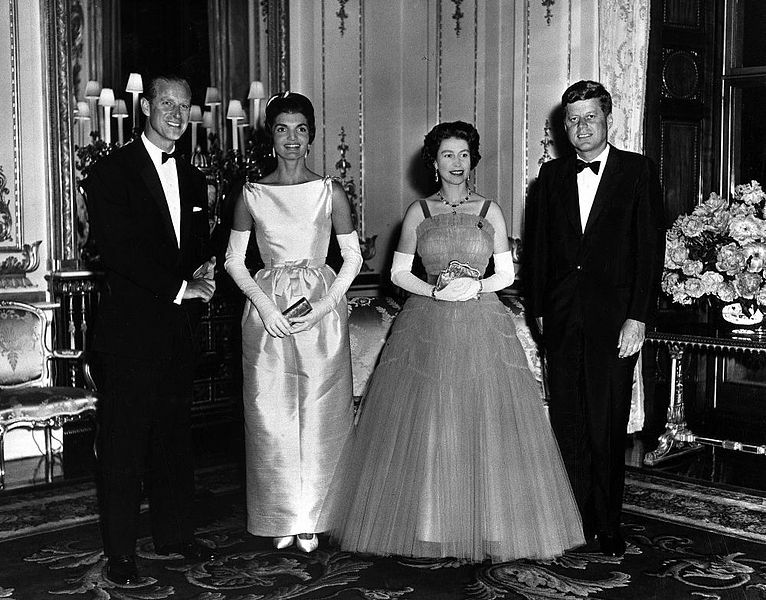 She retained French-born American fashion designer and Kennedy family friend Oleg Cassini in the fall of 1960 to create an original wardrobe for her as First Lady. 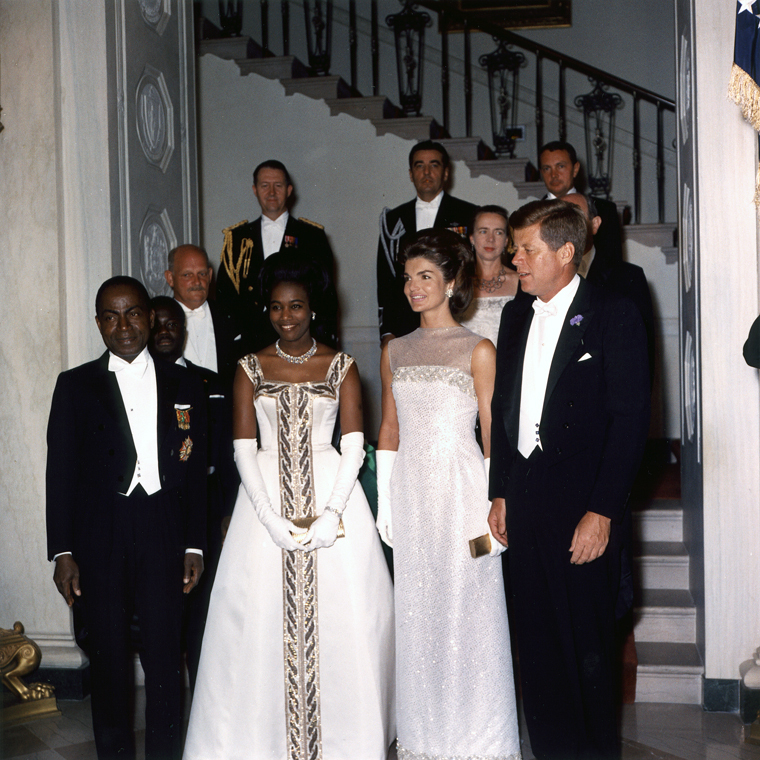 From 1961 to late 1963, Cassini dressed her in many of her most iconic ensembles, including her Inauguration Day fawn coat and Inaugural gala gown as well as many outfits for her visits to foreign countries. Her clean suits with a skirt hem down to middle of the knee, three-quarter sleeves on notch-collar jackets, sleeveless A-line dresses, above-the-elbow gloves, low-heel pumps, and famous pillbox hats were an overnight success around the world. Although Cassini was her primary designer, she also wore ensembles by French fashion legends such as Chanel, Givenchy, and Dior. 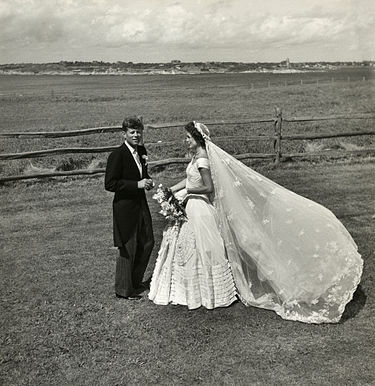 Ann Lowe designed Jackie’s wedding dress – a dramatic portrait-neck gown with an exaggerated hourglass shape, and pleating details fashioned into flowers and a tiered hemline. 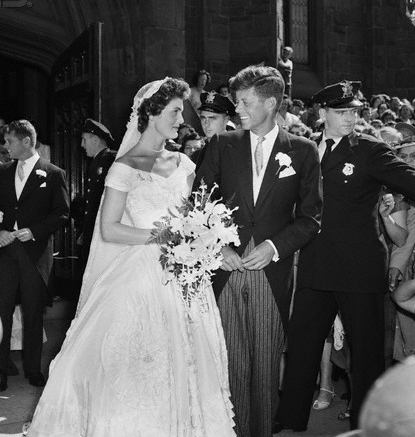 Jackie wore her grandmother’s bridal veil at her wedding to Jack Kennedy. 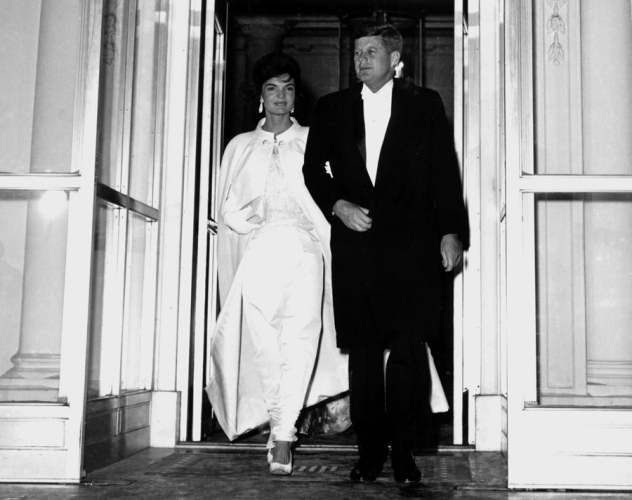 JFK with Jacqueline Kennedy in a white silk gown and cape for the inaugural ball. 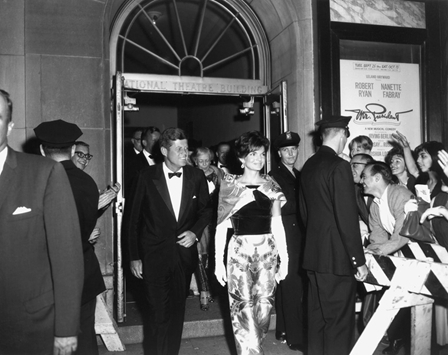 Ethel Frankau of Bergdorf Custom Salon designed and made the dress based on sketches and suggestions from Mrs. Kennedy. 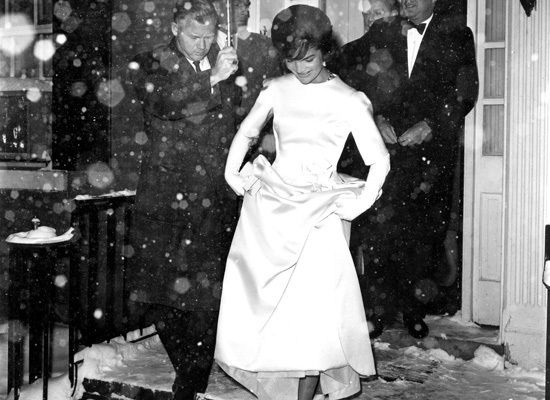 Jacqueline Kennedy in a gown by Oleg Cassini en route to an inaugural concert in 1961. 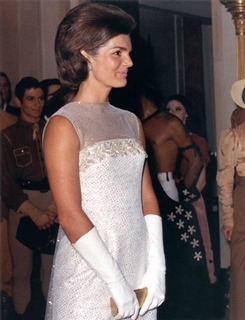 Jackie wearing a pink and white straw lace dress designed by Oleg Cassini at an Elysee Palace reception during their official visit in Paris, France. The President and First Lady attend the premiere of the play “Mr. President” at the National Theatre in DC. 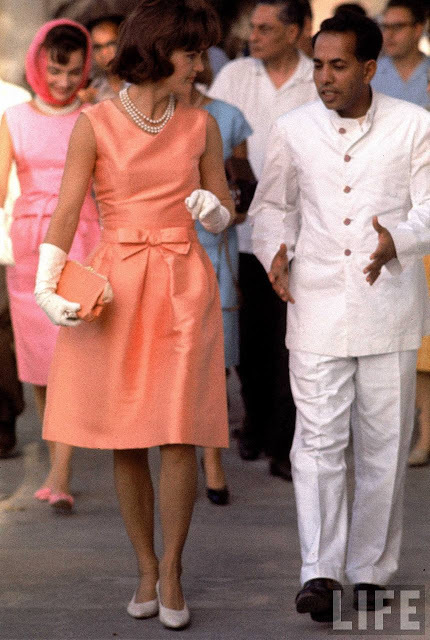 Jackie Kennedy at the Palace of the Maharajah in Udaipur, India during a state visit, wearing a fitted silk apricot dress by designer Oleg Cassini. 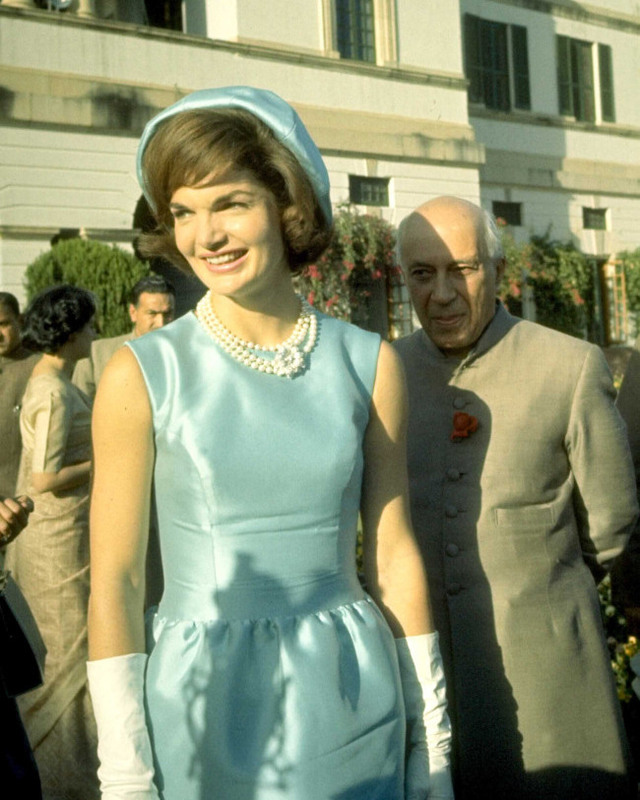 First Lady Jackie Kennedy in blue dress and hat walking with Indian Prime Minister Jawarhalal Nehru in the garden of his residence in New Delhi. 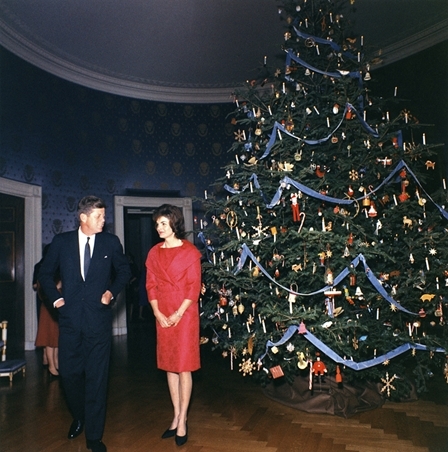 President and Mrs. Kennedy with the 1961 White House Christmas tree. Attending a dinner for the president of the Ivory Coast. 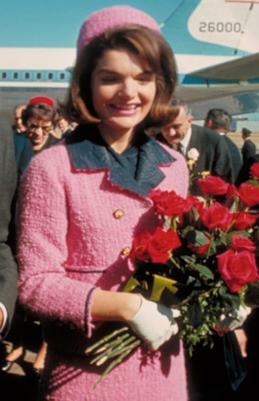 The pink Chanel suit Jackie wore on the day her husband was assassinated in 1963 became a lasting image of the decade.